The Internal Revenue Service is phasing in the use of private debt collectors to collect people’s past-due taxes. 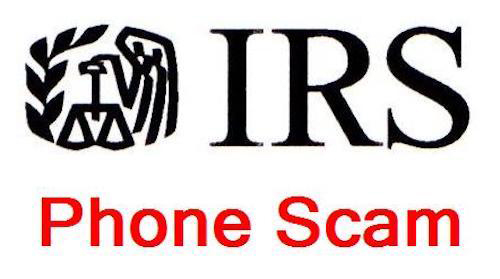 With telephonic scams involving IRS imposters so common, taxpayers now have one new thing to worry about. The most important thing for consumers to know, says Kopec, is that in a legitimate collections call on behalf of the IRS, a debt collector will never ask you to pay right then, or to pay over the phone. Rather, they will direct you to either mail a check to the U.S. Treasury, made out to the IRS – not to the private debt collector or to anyone else – or they’ll direct you to the payment page on the IRS.gov website. In 2015, Congress passed a law authorizing the IRS to use private debt collectors to collect on outstanding tax debt. Four private debt collectors have been selected to do so. According to the IRS, individuals are supposed to receive two notices in the mail – one from the IRS informing them that their account has been assigned to one of the four collections agencies, and a second notice from the debt collector. After that, the debt collectors may communicate with taxpayers over the phone. It’s a problem because imposter calls from people trying to fraudulently collect payments over the phone – including calls from people posing as IRS agents – are one of the top categories of consumer complaints at the FTC every month, according to Kopec. And anyone can be susceptible to this kind of scam. “Taxes make people nervous, even if they’ve paid their taxes already,” says Kopec. If it’s a legitimate call from an authorized IRS debt collector, it will always be a live agent – the private debt collectors are not authorized to engage in robo-calling or use pre-recorded messages. In a legitimate tax debt collection call, the agent will never demand payment over the phone. If a debt collector calls and is aggressive, threatens to send someone to your home, threatens you with arrest, or puts pressure on you to make a payment – these are telltale signs of a scam. “The people who make these imposter calls, they’re good. They’re usually very smooth with their pitch and they put a lot of pressure on you,” says Kopec. The IRS has used private debt collectors before; the last time they did so was in 2009. A subsequent study found that the private collections agencies were less effective at collecting debt than the IRS itself, so it’s unclear why Congress has reauthorized the practice.